Every year, when Easter rolls around… I become quite addicted to those malted milk eggs. 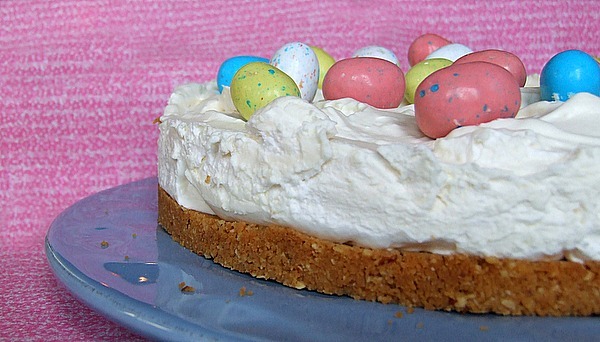 So this cake makes perfect sense for an Easter dessert choice: Malted Mousse Cake. The crust is made out of shortbread cookies, almonds and butter. I used the girl scout shortbread cookies “trefoils.” You may also opt to use amaretti cookies. It firms up after refrigeration and slices nicely. Isn’t it a cute choice for an Easter dessert? We're huge malt fans so we absolutely loved this. It's a little less dense than a cheesecake but thicker than a mousse. 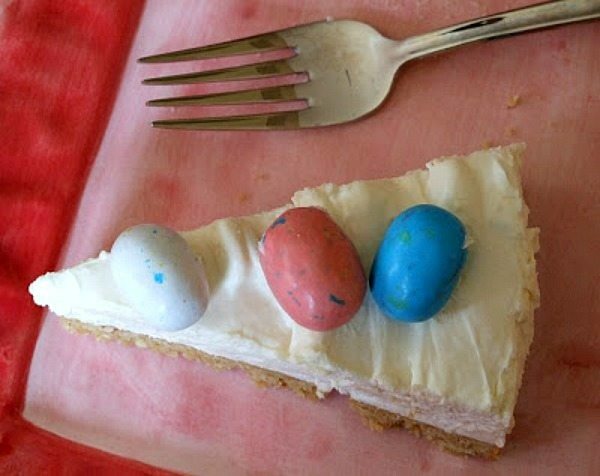 Fun Easter dessert! 1. Preheat oven to 350°F. For crust, in food processor bowl combine cookies and nuts; process to fine crumbs. Add butter; process just until combined. Pat in bottom of 9-inch springform pan. Bake 10 minutes or until golden brown. Completely cool in pan or rack about 45 minutes. 2. Meanwhile, in small saucepan melt white chocolate with 1/4 cup of the whipping cream; set aside. 3. In a small microwave-safe bowl, sprinkle gelatin over milk; let stand until gelatin is softened, about 3 minutes. Microwave the gelatin mixture, uncovered, for 15 seconds, just until gelatin is completely dissolved. Stir gelatin mixture into white chocolate mixture. 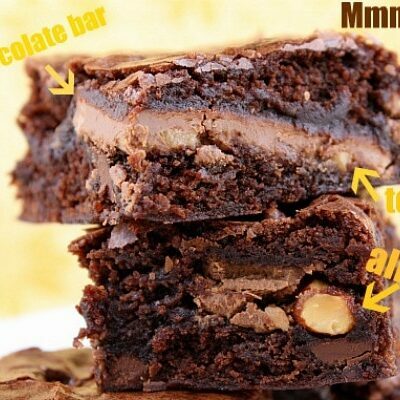 Refrigerate, stirring often, until chocolate-gelatin mixture is chilled and begins to thicken. 4. Meanwhile, in extra-large mixing bowl beat cream cheese, sugar, malted milk powder, and salt on medium until light and fluffy. Gradually add thickened gelatin mixture; beat just until combined. In medium mixing bowl beat remaining 1 cup whipping cream until stiff peaks form. 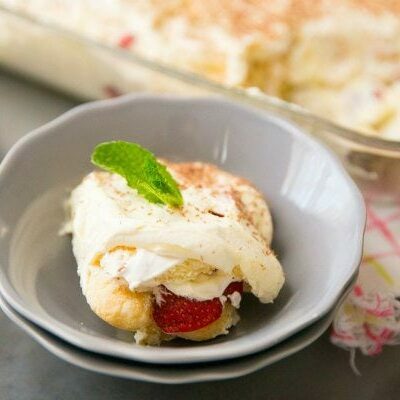 Fold whipped cream into cream cheese mixture until blended. Spoon into cooled crust. Refrigerate until firm, at least 3 hours or up to 8 hours. 5. To serve, remove sides of pan; place on serving plate. 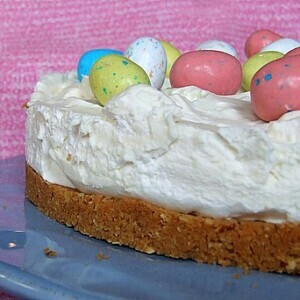 Top with malted milk eggs; slice cake. 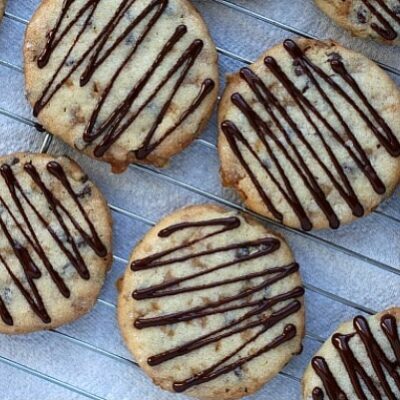 *You can also sub 6 ounces of amaretti for the shortbread cookies and combine those with hazelnuts instead of almonds.